Columbian red-tail boas exhibit several forms of sexual dimorphism. Because of the presence of two hemipenes located in the bases of their tails, male boas have longer and wider tails than females do. While both genders have cloacal spurs located near their vent, males typically have larger spurs. But female boas reach much larger sizes than males do; male boas average approximately 6 feet in length, while females may exceed 8 feet and can weigh 50 pounds. 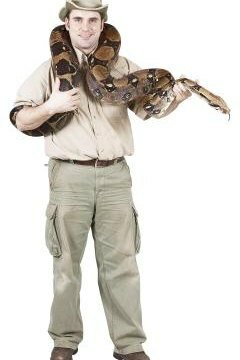 The most accurate way to determine your boa’s gender is to have it probed by your veterinarian or an experienced keeper. Probing a snake involves gently inserting a smooth, blunt, steel probe into a snake's cloaca and deducing the snake's gender by feeling the internal structure. In females, the probe enters a shallow and wide accessory gland; in males, the probe passes into one of the inverted hemipenes, which allows the probe to penetrate much deeper. Probing is a delicate procedure that can injure your snake and should be performed only by experienced people.